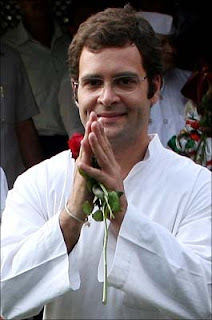 Uttar Pradesh Now: Rahul says Congress is ready to sacrifice Govt. The battle ground is getting ready and the fight for “who gets the ticket?” has begun in full force behind closed door meetings. The Congress leaders of Navi Mumbai know that if they don’t fight for getting one of the two constituencies in Navi Mumbai today – for many of them it will become an aspiration unaccomplished forever. But there’s something that the Congress leaders in Navi Mumbai are not willing to accept – that is the in-fighting among the Congress ranks in the city. The division makes it clearly evident that there is no sure Congress contender in either Airoli or Belapur who can take on the might of the Shiv Sena-BJP's Lok Sabha tally of 48015 votes in Airoli and 42982 votes in Belapur thus making the NCP’s chances of getting the tickets from both Airoli and Belapur stronger. The dignitaries present at the felicitation function were Thane Guardian Minister and MLA Ganesh Naik, Mayor Anjani Bhoir, Maharashtra State Secondary and Higher Secondary Board, Mumbai Division chairperson Gurunath Kanthe, former Mayor Sanjeev Naik, NMMC Standing Committee Chairman Sandeep Naik, Education Committee chairman Ravindra Ithape and other NCP corporators. When you pay your taxes to NMMC, it is spent for your amenities, facilities and making quality of life better in your neighborhood. NMMC Standing Committee and General Body meetings are specifically for those of you who want to know how you’re hard earned taxes are being spent. Deliberations and the work that will be carried out in the city after this week’s Standing Committee meet. Another significant proposal to be taken up during the meeting were the audit reports of departmental work for the years 1997 – 98, 2001 – 02, 2003 – 04 and 2004 – 05 that were earlier sent to the Commissioner for compliance. Standing Committee Chairman Sandeep Naik gave details of this proposal. NGO Green Hope launched a project to plant over two lakh saplings across the nodes on Sunday. Guardian Minister Ganesh Naik, actor Sachin Khedekar besides young and old lent their help for a cause to make future city a better place to live in.